FORTUNE ELITE is our desire to offer you a desired life is taking shape at Kadthal, near Mucherla Pharma City. Located at a walking distance from Hyderabad – Srisailam Highway. 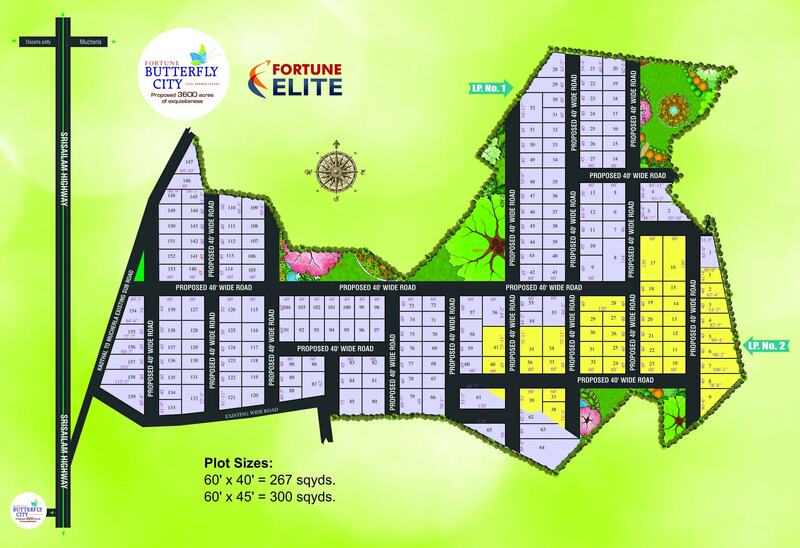 The place is easily accessible from International Airport, Well connected to Hyderabad by Outer Ring Road as the location is just 5 minutes away from Fortune Butterfly City Township. So arrive here any time to experience you desires.